1260 S. West Silver Lake Rd. 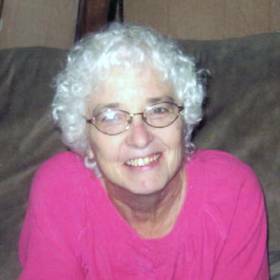 Linda Jane Mackey, 74 of Grawn, died, Sunday, January 22, 2017 at Tendercare in Traverse City, Mi. She was born on January 25, 1942 in Detroit, the daughter of Burton Albert and Helen Josephine (Johnson) Brugger-Fralick. Linda graduated from Elk Rapids High School in 1960. She was a free spirit and would often travel the country. Her vivacious spirit continued throughout her life. She was a hard working woman. 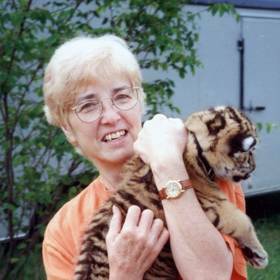 Linda worked in housekeeping at the Traverse City Osteopathic Hospital. She could often be found on her days off at the Cherryland Humane Society; where her passion for loving and holding the kitties was evident. She was a member of the Grawn United Methodist Church. Linda and her husband, Wayne were married on May 22, 1993. She loved her Lord Jesus Christ. She treasured being included in family get togethers and would often be the most playful “adult” at her daughters daycare: frequently being encircled by numerous children and never leaving anyone of them out in her playful bantering. She absolutely loved her grandchildren and would surprise them with random trinkets. Linda is survived by her husband, Wayne Mackey of Grawn; children, Denise (fiancé, Neal Wilson) of Traverse City, Elisabeth (Robert) Winters of Upland, IN, Marty (fiancé, Tracy Brooks) Sprague of Fife Lake; grand children, Jeremy (Kathryn), Matt (Cheryl), Kayla Rae, Alyssa Michelle, Emilee Elisabeth and great-grand-daughter, Madelyn Josephine; siblings, Kathy (Jay) Foriep of Tom's River, NJ, Charles (Leslie) Grace of Trinidad, CO, Michael Fralick of Pensacola,FL and Don (Ruth) Johnson of Mancelona. She is preceded in death by her parents and siblings, Bruce Fralick, Sue Johnson and Barbara Fralick. The family would like to thank the staff of Tendercare - Traverse City for the love and tenderness they gave to Linda and her family. Memorial Services will be held 11am, Saturday, February 11, 2017 at the Grawn United Methodist Church; where the family will greet friends starting at 10am. If you choose to send flowers, please request the color Red, per one of Linda's last verbal wishes. Memorial Contributions may be made to the Grawn United Methodist Church or the Cherryland Humane Society. Please visit www.lifestorytc.com to sign the guest book and share your thoughts and memories with the family.